Truth is, I have written many a post while standing in front of my bathroom mirror applying the necessary makeup with which to meet the day. But then I am off and running, in many directions, though none of which proves to be an effective method for taking off the extra 15 pounds (6.8 kilograms) that has made its home around my waist. Now that that has been said, I say, “welcome back”…to myself! Sheesh, sometimes just living is all I can handle; let alone formulating thought beyond “duh?”—so it has been these last few weeks. And because of the many trains of thought that have been running through the station of my mind, I will utilize this post as a sharing ground and by doing so, hopefully return next time to musings beyond the fragments I will utilize today. …like always, I make no promises! This morning I stared at the coffee bean grinder, while it was grinding my beans, and blankly kept the button depressed while the, already pulverized (now) grounds, twirled and whirled within the encapsulated bin. I finally caught myself and asked, “Rivka what are you doing?” “Nuthin, why is it a bad sign when spinning coffee grounds prove entertaining?” Let us let the answer to this one lie dormant…please! Where is the summer weather I know and love? We hosted my coming of age niece for a week last week; our time together was delightful. I am exhausted! Our family has learned (I say “has” because we are in fact enacting the following concept) to operate within a strange, new normal. At least it feels strange to me. My son’s health is poor…this is not new news. And we have learned to operate within a crisis state by vacillating between attending to the extreme and attending to other aspects of life, simultaneously. Let me explain. I have learned to utilize my days’ allotment of energy to step up to whatever the occasion at hand might be. Such as, coordinating healthcare maneuvers for my son while sharing Hollywood’s iconic locations with my niece. In fact, I picked her up from the airport Sunday morning, drove her to my house, picked up my son and drove him to the emergency room, took him home after he received the proper treatment, returned to my house to step back into the shoes of ‘happy hostess’ and made a decent dinner which we enjoyed together. The last time my son was taken to the ER my husband and I were attending a Bat Mitzvah, 500 miles away. It was that day I learned how to practice this new place of normal–happy for the young lady of honor while fielding questions of concern via text. I even danced that night. And this past week I moved between these two vastly different planes like an old pro. My conclusion? Life is life…this is mine (ours). It is a strange place of existence, carrying on in life while housing a broken heart…for many of us, this is normal. 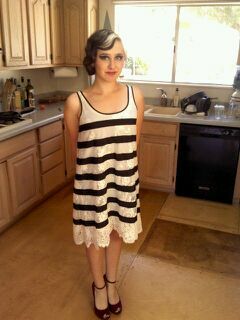 My daughter attended a high school Prom this past Saturday evening. I thought she didn’t care much about it, turns out I was wrong…dead wrong! Screech, shift gears, and voila, my attention became all hers. Thankfully I have an understanding niece! In fact, she became integral to the cause…photographer. 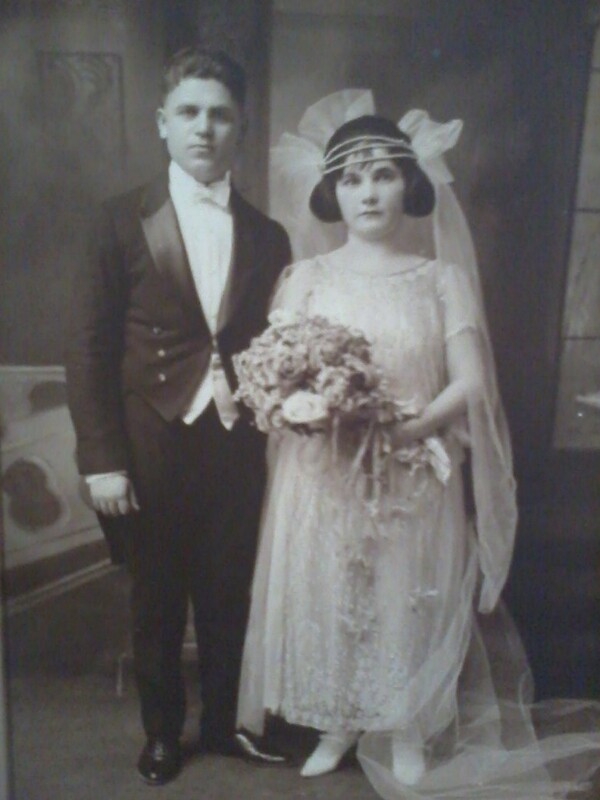 Well as the Looney Tunes family of cartoons would say, “that’s all folks!” And just as I am finishing expelling my fragmented thoughts, Brian shows me a photo of my paternal grandparents, Harry and Bessie, on their wedding day in the 1920’s. I must now go and ponder why I don’t know more about this fascinating couple. While strolling along, in this earthly life, I have had the privilege of having varying people touch my heart; and by doing so, guide my character. Some of these special folks are finished with this side of the ‘dust-o-the-earth’ and are probably sparkling much brighter from beyond than our dingy, planet bound, perspective allows us to acknowledge. This post is NOT paying homage to them. I have also been influenced by the fortitude and experiences of a few characters in life I have never met, but admired for one reason or another. They will also NOT be considered in this particular writing. This writing, or blog post, is specifically dedicated to those still present with me (though not necessarily close in proximity). The idea to honor a few people, via Bentrivka.com, came to me in my 3′ x 3′ encapsulated think tank just this morning–otherwise known as my shower. My shower is a place I tend to listen, reflect, and converse with either myself or G-d Almighty. And sometimes I merely bathe. Aunt Marge– She gives me the gift of encouraging words and a welcoming presence. Every time I see her, she offers up the same praises as she has done before. Her praises always encourage, her smile reassures me I am welcome, and her patience with me seems to convey the idea that ‘I matter’. She is a model of the best kind of cheerleader. Leah– She continues to be the model of familial devotion. Her example has held me to the task in even my most toughest challenges. Momma A– She is like Switzerland during WWII, neutral. Her ability to offer neutrality to her family and, in some cases friends, resonates within me when I want to take sides and settle a score. Nonnie– I have never met another who extends the gift of including others more than her. With Nonnie, every one is welcome. This standard I long to possess naturally, though I am sad to say I don’t. But through her influence I know how to maneuver my actions toward this direction. Teresita– Her gift to me has been her unwavering faith. An example was offered in my youth, though remains a source of inspiration for me to this day. Zia Kafrin– Her ongoing gift to me is the manner in which she shows unconditional love and acceptance toward others. She has modeled patience and mercy when frustration and indignation could have been an acceptable choice. I wrote the above post on January 31, 2013, which happened to be my birthday and also happened to be a very, very bad day. The month that followed showed little improvement. However, I have been given reprieve in March and am moving ever closer to a sense of consistent normalcy (consistency is key and normalcy subjective). I actually intended to scrap this particular writing because I felt it too risky a concept (lest I forget to list a deserving soul and because allocating one attribute to each person is too hard to do–heroes are multifaceted people!). However, I have decided to publish it INCOMPLETE as tribute to my Aunt Marge who was living back in January, though is now home in Heaven. As I prepare to travel north this coming weekend to attend her memorial, I couldn’t bring myself to trash the list that she had, previous to her passing, made it on. It just didn’t feel right. And though I previously considered the list too risky, under this new banner my previous trepidations are quelled.